was a Soviet Artificial Intelligence project headed by Mikhail Botvinnik with the aim to develop a chess program to model a Chess Master's Mind, also used as general purpose planning tool to solve economical problems in the Soviet Union. Based on a hierarchical mathematical model consisting of square control, trajectories, sheaves of trajectories, and counter trajectories of attacking and defending pieces, piece chains, and zones, and the intermediate goal to win material within a given horizon, its purpose was a minimax best-first search of extremely narrow but deep game trees. The name Pioneer was chosen in 1977, when the program was invited to play the WCCC 1977 in Toronto. However, Pioneer was never completed in a way that it could play a game of chess in public under tournament conditions . Botvinnik's early ideas on attack maps were already formulated and published the late 50s and 60s. 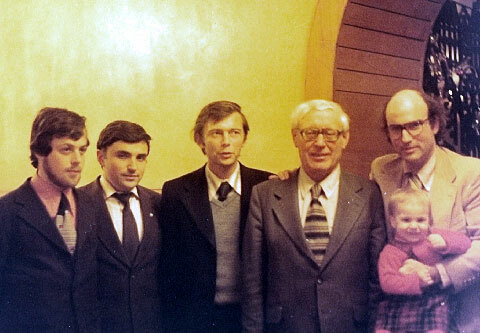 At Moscow Central Chess Club  in 1966, with the skeptical Georgy Adelson-Velsky and others attending, he introduced the concept of trajectories and found Vladimir Butenko as supporter and collaborator. Butenko first implemented the 15x15 vector attacks board representation on a M-20 computer, determining trajectories. The table below demonstrates the distance from a square (here c2) on a 8x8 board, superimposed on the 15x15 array in such a way that the from square (c2) coincides with the central square of the 15x15 array, which is the origin, tail, or base of all displacement vectors  . 5 4 3 2 2 2 2 2     7 7 7 7 7 7 7 7     c b a 9 9 9 9 9     . . . . . . . .
5 4 3 2 1 1 1 2     7 6 6 6 6 6 6 6     c a 9 8 7 7 7 8     . . . . . . . .
5 4 3 2 1 0 1 2     7 6 5 5 5 5 5 5     c a 8 7 6|5|6 7     . . . . . 1 . .
5 4 3 2 1 1 1 2     7 6 5 4 4 4 4 4     c a 8 6|5 5 5|6     . . . . 1 1 1 . In Botvinnik's hierarchical Mathematical Projection (MP) of chess as a complex system, trajectories build the lowest level of the hierarchy. The concepts of zones as intermediate level of the MP consists of a network of main trajectories conform to attacking or defending plans determined elsewhere, negation trajectories, that is opponent's counter trajectories which may block or combat the primary trajectory in time, and own supporting counter-counter trajectories. The MP controls the growth of a search tree inside a best-first search, and prunes all branches forward which could not reach a goal in time. After Botvinnik introduced the concept of Zones in 1970, Butenko refused further cooperation and began to write his own program  . In the 70s and 80s, a team around Boris Stilman, Alexander Yudin, Alexander Reznitskiy, Michael Tsfasman, Vadim Mirniy and Mikhail Chudakov worked on Pioneer at the State Committee for Science and Technology, Moscow, USSR, the National Research Institute for Electrical Engineering, Moscow, USSR and the USSR Academy of Sciences, Moscow, USSR. 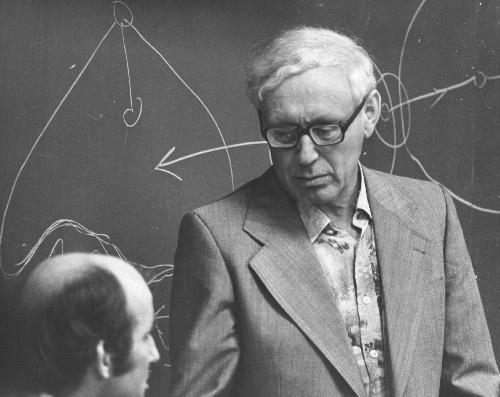 Botvinnik and his team proposed a attack map and offset map move generating strategy  based on Vector Attacks  , and a hierarchical geometrical model based on trajectories, sheaves of trajectories and chains - a set of pieces, each with their trajectories, enjoying the property of aiding or hindering the attack of a piece against a target. Based on this research, Boris Stilman later coined the term Linguistic Geometry  , a new type of game theory . Alexander Reznitskiy and Mikhail Chudakov presented the current state of a long development originated by Botvinnik in an 1990 ICCA Journal article . Botvinnik published abilities of Pioneer and its successor CC Sapiens on selected positions, but they never played a complete game of chess in public. For his publication Three Positions  , Botvinnik was heavily criticized by Hans Berliner     , and his old chess rival David Bronstein  . Botvinnik's idea to make computer grandmaster. Botvinnik's Lecture Humboldt University Berlin: "Men and machines at the chessboard." Goal game of chess (Botvinnik, PIONEER , Mansurov, 2004). Stillman BM, About the formation of the playing area. Dep. VINITI 3947-76, (also in Stillman BM, 1979 ). Stillman BM The tree in the zone busting game. Dep. VINITI 3947a-76 (also in Stillman BM, 1979 ). Invitation to a second world championship of chess programs in Toronto, Canada. MM Botvinnik, BM Stillman, AD Yudin Artificial chess master. Bulletin of the Academy of Sciences of the USSSR, Moscow, 1978, № 4, p.82-91. At University of Mannheim (Hans Meuer) for the improvement and completion of the PIONEER project (For 0.5 year), Germany . At University of Dortmund (Hans-Jürgen Appelrath) for the development of AI theory of complex systems and its application to the PIONEER project (for 0.5 year), Germany. From Control Data Corp. (CDC, David Cahlander) for the improvement of the PIONEER program and development of efficient methods for solving practical search problems (for 0.5 year), USA. MM Botvinnik, BM Stillman, AD Yudin, AI Reznitskii, MA Tsfasman The chess players and computers. Preprint for the 2nd International Symposium on Artificial Intelligence, 9 pages, Repino, Leningrad, Russia, in October 1980. From the USSR National Committee for Science and Technology for the design of new methods and software for solving complex search problems, (For 3 years, MM Botvinnik, BM Stilman, V Mirniy, AI Reznitskiy), USSR. A novel idea has been proposed by Botvinnik. He believes it is important to know which pieces are able to reach a certain square or sector of the board in a set number of half-moves. In this manner it is possible to determine the pieces that one should be concerned with when planning a move and it establishes what Botvinnik calls an "horizon." Thus one could vary the horizon by changing the amount of time pieces are allowed to take in arriving at a given area. At the present time some of his ideas have been programmed, but the successful completion of a program based on Botvinnik's ideas has not yet been announced. The Novag Constellation programs represent a significant evolutionary step in the development of microcomputer chess programs. The program represents the first commercial implementation of the attack map / offset map move generating strategy proposed by former World Chess Champion Mikhail Botvinnik and subsequently refined by myself for faster move generation as pieces come off the board. PIONEER has been tested on various positions. For experiments we used an 80386 based computer running at 20 MHz. The outcome shows the approach described in its advantage as well in its disadvantage. So far PIONEER cannot regarded as a competetive player. The program is not fast enough to play under tournament conditions. It takes up to several hours to complete a search. Moreover, we found out, PIONEER  fails to find a solution in some positions (especially in endgames). Nevertheless, fortunately in mosts cases PIONEER manages to find the strongest move. If so, the program has found this move in a human fashion. It discovers the position's essence, correctly specifies subgoals and directs its search towards these subgoals. In accordance with this, all the trees are small, narrow and deep, and contain only reasonable variations of variable depth, truncated by logical considerations. This book was inspired by the results of long and fruitful collaboration in the 70s and 80s with Professor Mikhail Botvinnik, my research adviser and project director. At the very beginning he shaped my thinking about complex search problems. One scientist said that this unimaginably difficult work could have started because Botvinnik, a chess player, did not anticipate the difficulties of programming, while Stilman, a computer scientist, did not anticipate difficulties of playing chess. Every time when the team of researchers experienced serious problems in the development of the project PIONEER, Dr. Botvinnik used to say: “If a human chess master can make it, a computer will make it as well.” He believed in the existence of a general algorithm, or a small collection of general algorithms, used intuitively by all the chess masters and grandmasters in playing chess. Essentially, discovery, simulation and generalization of these algorithms were the goals of the project PIONEER. An attempt to construct and investigate a mathematical model based on those algorithms is the goal of this book. Alexander Yudin, Alexander Reznitskiy, Mikhail Tsfasman, Mikhail Chudakov have worked with me in the 70s and 80s to develop project PIONEER. My friend and colleague, Vadim Mirniy, with whom we worked in the 80s provided major insights and pushed our research and software implementations to much higher level. Also, in the 70s an invaluable technical assistance in software development was provided by Dmitry Lozinskiy, Lidia Poltavets, and Anatoliy Kostrukov. Four major scientists, the founders of computer science and engineering in the former Soviet Union, Academician Viktor Glushkov, Professors Bashir Rameev, Viacheslav Myasnikov and Nikolay Krinitskiy contributed to the establishment of the organizational framework, provided major funding and access to the state-of-the-art computers for project PIONEER. Project PIONEER and the first theoretical generalizations related to the origin of LG would have never succeeded without constant support of numerous Soviet scientists. I am grateful to all of them. Here, I would like to acknowledge those whose decisive support came at the most difficult times. They are Academician Nikolay Krasovsky, Academician-correspondent, Lenin Prize Winner Yakov Tsipkin, Academician-correspondents Yury Rudenko and Hermogen Pospelov, Professors Dmitry Pospelov, David Yudin, Vladimir Yakubovich, Georgy Adelson-Velsky, Yuriy Shakarian, Gavriil Shalit, Lev Mamikoniants and Dr. Mikhail Donskoy. Scientific exchange with researchers from around the world allowed our team to overcome isolation of the former Soviet Union. A list of major participants of this exchange includes Professor Monty Newborn from McGill University, Canada, Professors Tony Marsland and Randy Goebel from the University of Alberta, Canada, Professor Jaap van den Herik from the University of Limburg, The Netherlands, Professor Ben Mittman from Northwestern University, USA, Dr. David Cahlander from CDC Corp., USA, Ken Thompson from Bell Labs, USA, Dr. Hans Meuer from the University of Mannheim, Germany, Dr. H.-J.Appelrath from the University of Dortmund, Germany, David Levy from London, UK. Boris Stilman (1979). Zoni Igri. (Fields of Play). pp.70-104. 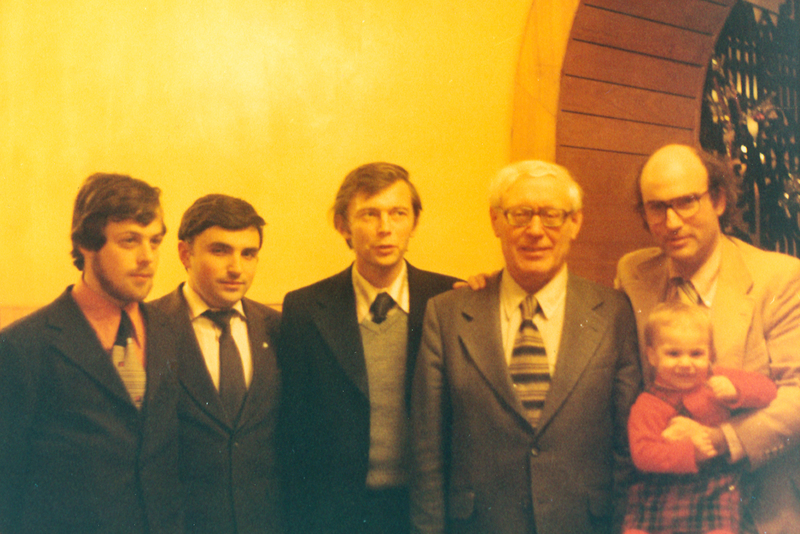 Mikhail Botvinnik, Boris Stilman, Alexander Yudin, Alexander Reznitskiy, Michael Tsfasman (1980). Thinking of Man and Computer. Proc. of the Second International Meeting on Artificial Intelligence, pp. 1-9, Repino, Leningrad, Russia. Michael Tsfasman, Boris Stilman (1984). The Positional Estimate and Assignment of Priorities. Alexander Reznitskiy (1990). Pioneer Approach to Chess Programming. Praxis der Informationverarbeitung und Kommunikation, 3/90, pp. 151-157, K.G. Saur Verlag, Munich. This page was last edited on 31 October 2018, at 09:03.